Dorm room posters are basic college supplies that every college student has in their college dorm checklist. These dorm necessities are cheap dorm supplies that add a lot of style to a college dorm room. However, just because every college students goes off to college with dorm room posters in their dorm essentials, that doesn't mean that every college poster is going to be the same in every college dorm room. After all, you're displaying your interests on your dorm room wall, which allows you to have unique dorm room decor. What better way to display your interests than with dorm posters of your favorite sports stars like our Boston Red Sox Ortiz Dorm Poster! Our Boston Red Sox Ortiz Dorm Poster will add some inspiration to your college dorm room walls. It may not seem like it because it's just a college poster, but it will. This dorm wall art dorm item will help you get through those long, tough English essays. Plus those college dorm room walls don't start out too inspiring. In fact, they start out quite bland. With the blue, red and gray colors in this dorm essentials item, you can add some color to your dorm room walls and make them be not as bland! Cheap posters have a way of pulling all of your other dorm room decorations together for a cool effect that makes your college dorm room feel relaxing and comfortable. 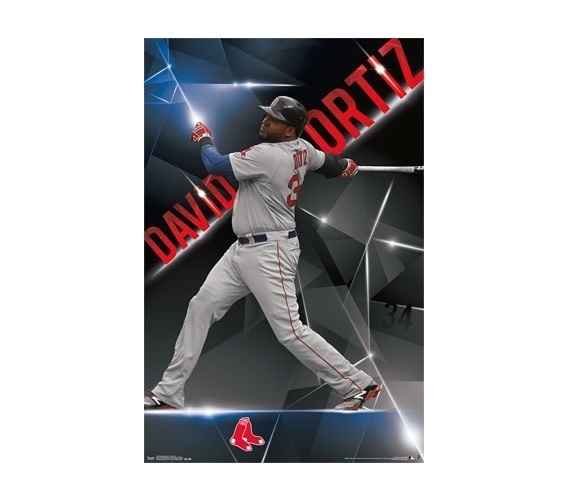 Those dorm room walls won't add much relaxation to your dorm room decor, but with simple additions like our Boston Red Sox Ortiz Dorm Poster for dorm rooms, your college dorm room will feel a lot more like home.